In his 16 seasons in Europe's premier basketball competition, Nikos Zisis has been fortunate enough to play for some of the best head coaches in European basketball history. Zisis has suited up for seven different EuroLeague teams - AEK Athens, Benetton Treviso, CSKA Moscow, Montepaschi Siena, UNICS Kazan, Fenerbahce Istanbul and now Brose Bamberg - in over 300 games. He has played for five different EuroLeague champions - Dusan Ivkovic, David Blatt, Ettore Messina, Jonas Kazlauskas and Zeljko Obradovic – among the many renowned coaches Zisis has learned under. Zisis was just 16 years of age when he was promoted to the senior squad at AEK under Coach Ivkovic, who gave the young Zisis the chance to make his EuroLeague debut in a playoff game against Benetton on March 7, 2001. Zisis's mission was to contain super scorer Marcus Brown and he delivered; AEK won 71-56, Zisis played 18 minutes and held hold Brown to 13 points. "It was very important that [Ivkovic] coached me in my very first year as a professional player. It is interesting that every player who has been coached by him talks about Xs and Os and what he learned from him, but I think that the most important thing about Coach Ivkovic is his personality and how he prepares his players and, generally, his team, to always be ready to play with motivation," Zisis said. "[Ivkovic] was a professor not only about things on the court, but also off the court. He taught me and all the young guys how to be real professionals. He had this thing; if you were young and ready to work, ready to play defense and use your body, which was very important for his teams, he would always give you a chance. It didn't matter where you came from, he would give you the chance if he saw that you were a player who worked hard and who respected him." At age 21, Zisis left his native Greece to pursue his basketball dreams and in the 13 years since, he has continued to find employment across Europe, but has not played again for a club that calls Greece home. His first stop abroad was in Treviso, Italy, to play for a young, ambitious Coach Blatt, who was ahead of his time and brought some interesting concepts to European basketball. "I think he helped me a lot because, first of all, he believed in me," Zisis said. "At that time, European basketball was much more physical and less running. There were not many teams playing up-tempo and [Blatt] was the one, or one of the first, who brought that evolution. Even in practice! We ran so much in practice! You have to think this was 12 years ago and the game was not as it is right now. I remember all the running, all his drills and the mentality. We had this drill called 'less than 8 seconds' in which you had to bring the ball and make a decision - penetrate, shoot, whatever it was - and at the time, that was strange for European guys. "In general, David is a very, very smart coach with a great knowledge of the game, a players' coach... He was a little more, let's say, easy-going - but when he had to push you to concentrate and focus, he was also great at this. It was a great experience for me to work for him and I really think it was great for European basketball to see him coach an NBA team." 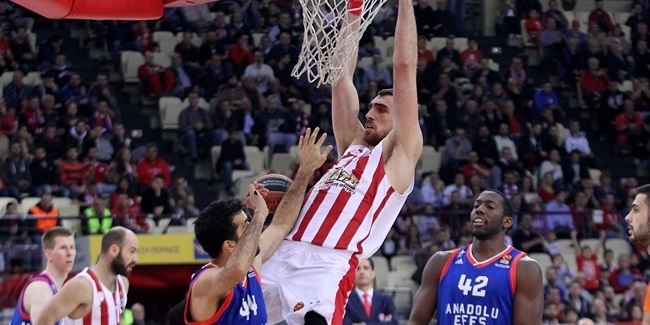 After two years in Treviso, Zisis moved to Moscow, Russia to play for mighty CSKA. He would reach a pair of Final Fours with the Russian powerhouse and won his only EuroLeague title in 2008 as part of a legendary team coached by four-time EuroLeague champion Messina. Zisis thinks of Coach Messina as a master of spacing and small details. "I remember one of our first practices; when he was watching a pass, even in warm-ups, that was not on point, he would tell you. No matter if it was a bounce pass, a chest pass or over the head, it must go to the receiver's chest," Zisis said. "He paid a lot of attention to the pass, I remember it very well. You could tell his teams were Ettore Messina teams when you saw how they passed and how they moved on the court with the same rhythm. This always came from practice." Of course, there was more to Coach Messina then just passing and spacing. "On defense, he wanted us to be a very, very physical team that made 30 bumps on every defense. That was his characteristic," Zisis said. He also appreciated that Coach Messina was direct and explained himself well. "He could really make you understand quickly what he wanted from you, as an individual and as a team, to prepare for anybody. It was great because at the end of the day, the EuroLeague title I won was with his team." CSKA's EuroLeague-winning squad from the 2007-08 season could enter the conversation for the best teams in EuroLeague history and Zisis gives Coach Messina a lot of credit for running the show and keeping everybody happy at the same time. "That CSKA team was special; we had a lot of guys from different countries - Americans, Greeks, Slovenians, Belgians, but it was a real family, we had a great team. It was the best team I played for. 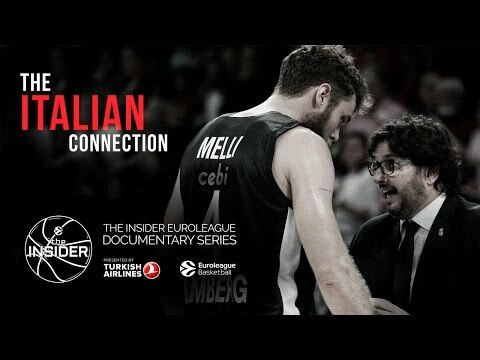 We always found the way to play team basketball and for sure, Ettore's leadership was important, but we had great, great players and personalities like J.R. Holden, Theo Papaloukas, Trajan Langdon, Ramunas Siskauskas, Matjaz Smodis, David Andersen... players who wrote EuroLeague history. For me, it was not easy to come from Treviso, where I was one of the team's leaders, and adjust, but believe me, I learned stuff on that team that I carried and used throughout my career." Zisis only spent half a season playing for nine-time EuroLeague champion Zeljko Obradovic, but it was enough to learn a lot from him. "It was an amazing opportunity that came in such strange way," Zisis explained. Zisis started the season with UNICS Kazan, but his team narrowly missed qualifying for the EuroLeague Top 16. The way he remembered it, "Fenerbahce showed some interest and all of sudden, I was there, out of the blue, to join the team at the start of the Top 16. It was a great opportunity for me because I had the chance to play for Coach Obradovic." Zisis believed that one particular skill makes Obradovic a different coach. "The way he reads the game is incredible, taking decisions in the middle of it. He had the biggest impact on games of all the other coaches I had." According to Zisis, many of the great coaches share the same winning traits Obradovic employed, he was demanding and his teams worked hard in practice. One thing that was different was pre-game preparation. 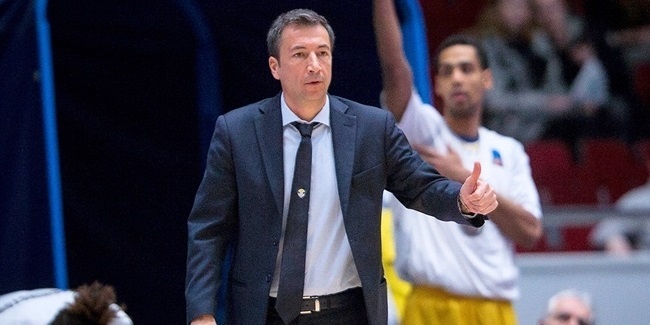 "[Obradovic] doesn't have a lot to say right before the game. He understands that players want to go out there and play the game. Sometimes he reminds his players that there are 15,000 people outside, waiting to see you guys give everything you have, that's it. He doesn't analyze too much before the game and I think this is important. Then in the game, he does the most important thing: he has an incredible ability to read the game for 40 minutes and understand what his team needs to win." Those four coaches combine for 16 EuroLeague titles over the last 26 years and Zisis learned a tremendous amount from each of them. However, what separates great players from the rest can sometimes be the ability to learn from any coach in any situation. Zisis was blessed to play for many wise and seasoned coaches and he had good words to say about nearly all of his former bosses. "I had Dragan Sakota, Fotis Katsikaris and even Argyris Pedoulakis for a couple of months. I also had Evgeny Pashutin and don't forget that, in the national team, I had Panagiotis Giannakis and Jonas Kazlauskas. All the coaches that I had did good in European basketball and I think it is unfair not to mention them, really. These four - Ivkovic, Blatt, Messina and Obradovic - wrote European basketball history in the last 20 years and helped the EuroLeague become the competition that it is right now," he said. Zisis played three seasons for Montepaschi Siena in Italy and looked back fondly on his time there with Coach Simone Pianigiani. "In my opinion, Pianigiani's biggest skill is to bring guys together. It is not easy because there are a lot of egos and basketball is a team sport. If you don't have a team, you can have the best players, but you can't be successful. It is not by luck that he is able to bring guys on the same page to play together. He is great at that." Coming from CSKA, Zisis had to adjust a bit to things with Montepaschi and he quickly found that he enjoyed the style they played in Siena. "Pianigiani's basketball was a little bit faster than Messina's, more the new era, the way things are now - post-up, a lot of running, a lot of transition and pick-and-roll. Siena had Terrell McIntyre, Bo McCalebb later... a lot of player movement, ball movement and big guys who could shoot from outside with Ksistof Lavrinovic, for instance," Zisis explained. "They had a great system and that team was very strong and everybody played the right way." The longest player-coach relationship in Zisis's career came with Andrea Trinchieri, one of only two coaches – along with Katsikaris, for whom Zisis played on two different teams - UNICS and Brose. Zisis believes the future is bright for Coach Trinchieri, who was still his coach when this conversation was recorded. "This is my fourth year with Andrea Trinchieri. I never had a head coach for four years, it is the first time in my career. I got to know him in Italy as an opponent and when I saw Cantu play, I thought they played the right way, moving the ball and doing an excellent job." Zisis said he was confident things would go well when he signed to play for Coach Trinchieri with UNICS, "but until you work with somebody, you don't really know what to expect." Clearly, it did go well, because after their time together in Kazan, the two reunited in Bamberg. "I think he has a great basketball mind and is very, very creative with his ideas. He is very good at putting players in situations to show their best skills. Every player has advantages and disadvantages, and he is very good at putting players in a position to make the most of their advantages. After what he did in Cantu and Bamberg, I hope he has an opportunity to coach at the higher level, to show what he can do," Zisis said. "He helped me play great basketball. I had some great years with him and I will never forget the way he trusted me. His creativity is amazing, especially on offense - I know everything about him and his system, but he was able to come up with new ideas and works on them. He is always evolving as a basketball coach." It's been a great run for Zisis under some of the best coaches the European game has to offer. The point guard will turn 35 years old this summer and still has some great basketball in him, but when the day comes that he decided to hang up his sneakers, we can hope he is ready to grab a whistle and carry on in the tradition of these great mentors. Perhaps he will be the next great European basketball coach!